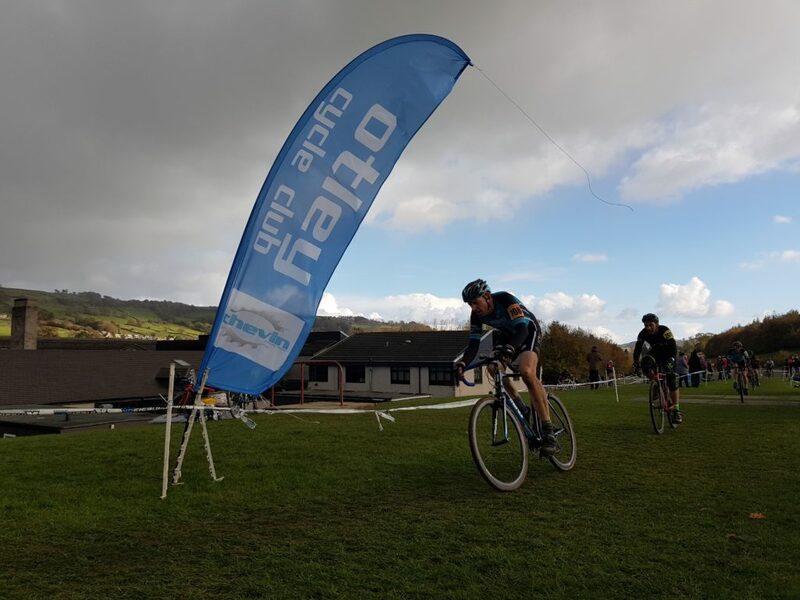 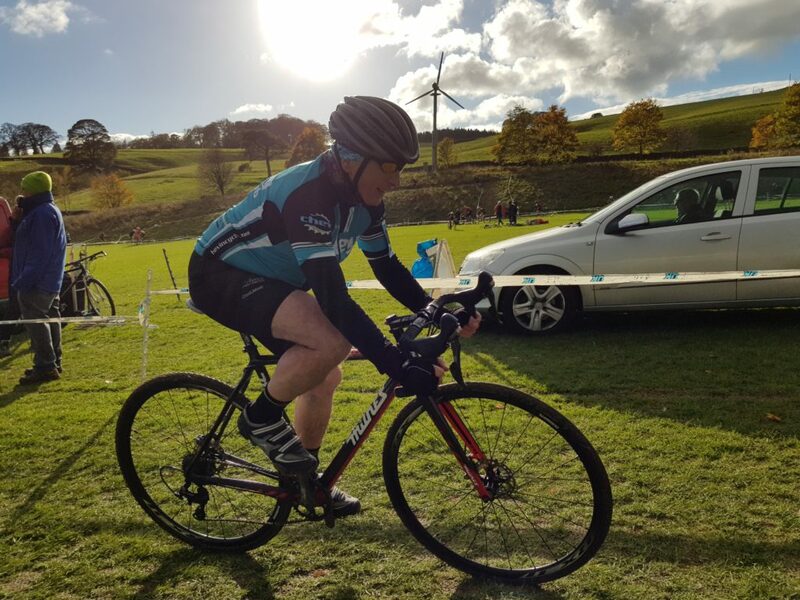 Over the weekend of 27th / 28th October, Otley CC helped to run a successful non-points CX event at Pateley Bridge in conjunction with YCCA. 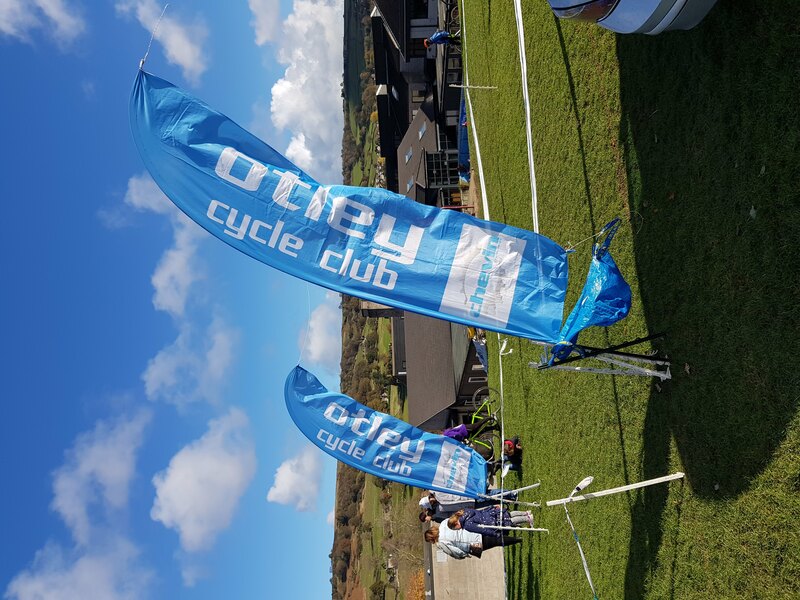 The event was well attended with just under 200 riders competing – around half in the youth and U12 races and half in the afternoon senior race. 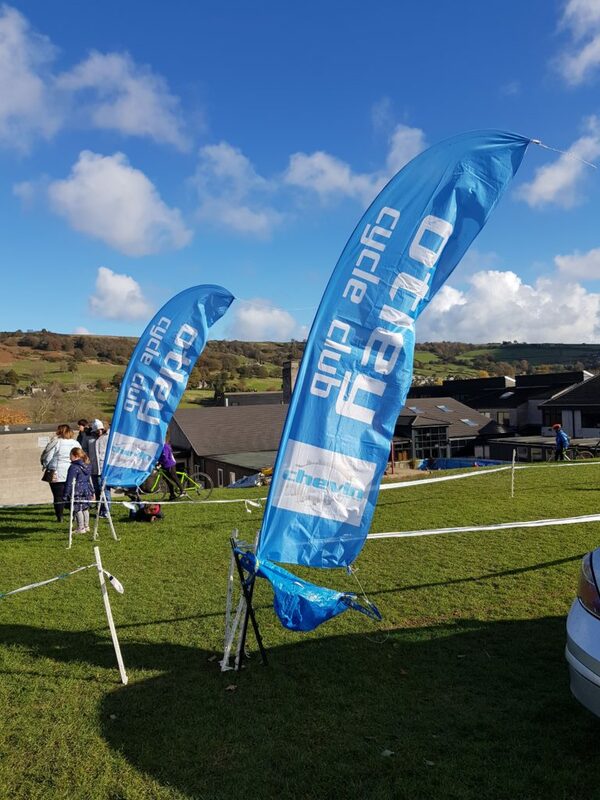 We had plenty of club branding out there as well as 13 of our own riders competing across nearly all of the categories. 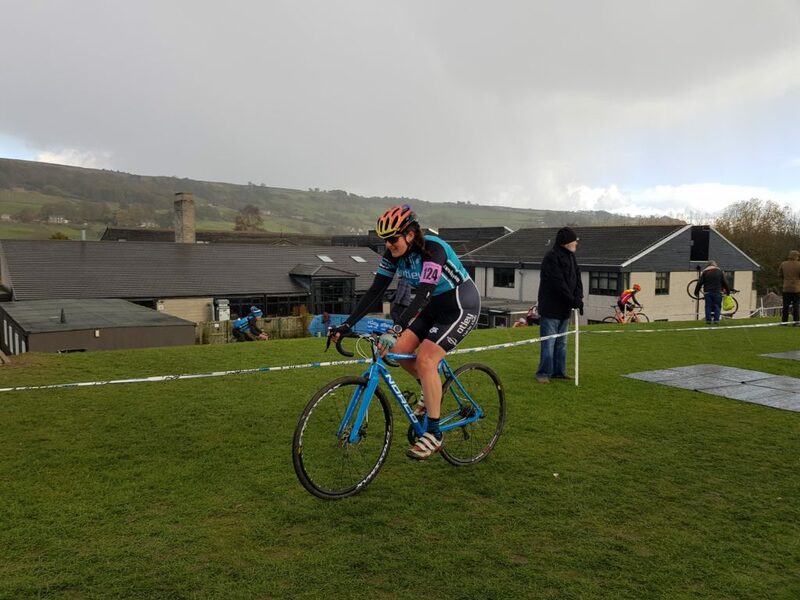 Club president, Liz Hills, was even on hand to hand out the prizes! 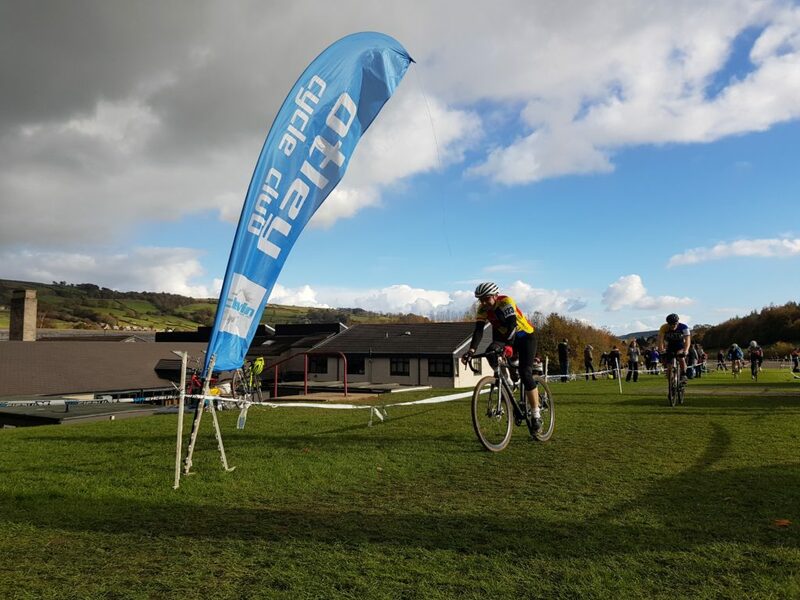 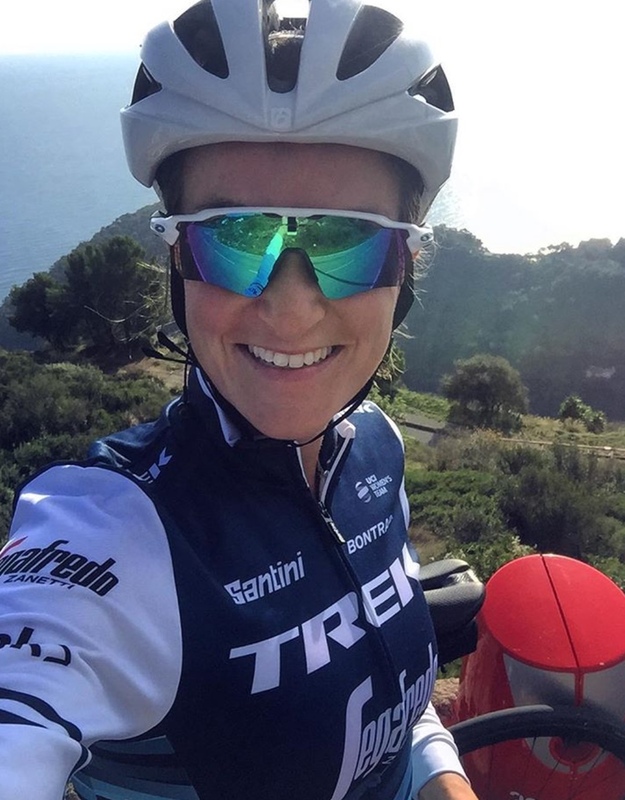 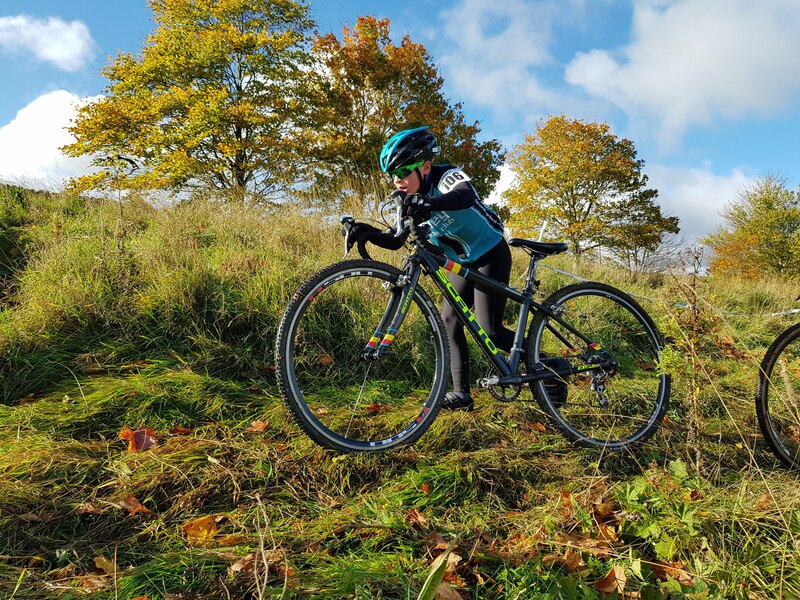 Over the weekend, both riders and organisers experienced all of the finest Yorkshire weather that was possible from snow, through rain, strong winds but, ultimately, plenty of lovely autumnal sunshine. 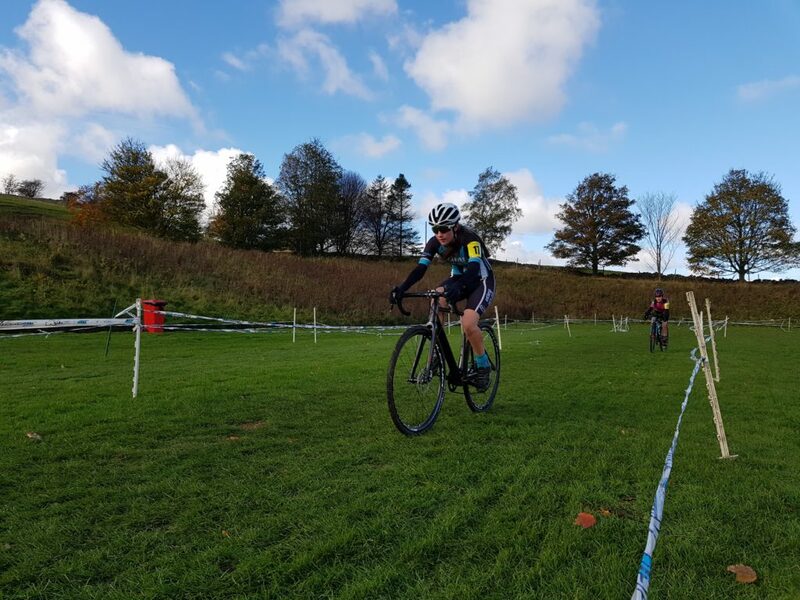 In the end, the U12 and Youth races were all held in more or less dry conditions. 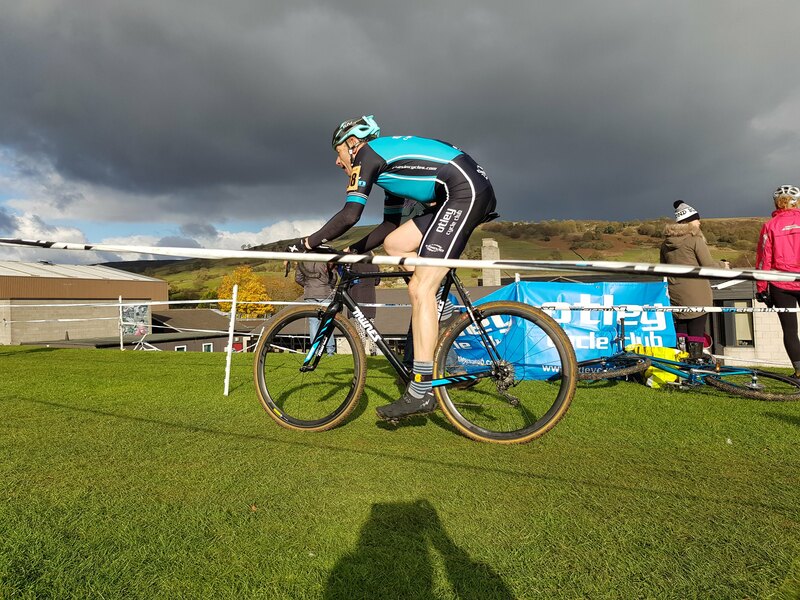 As always, these were closely fought, with some strong competition. 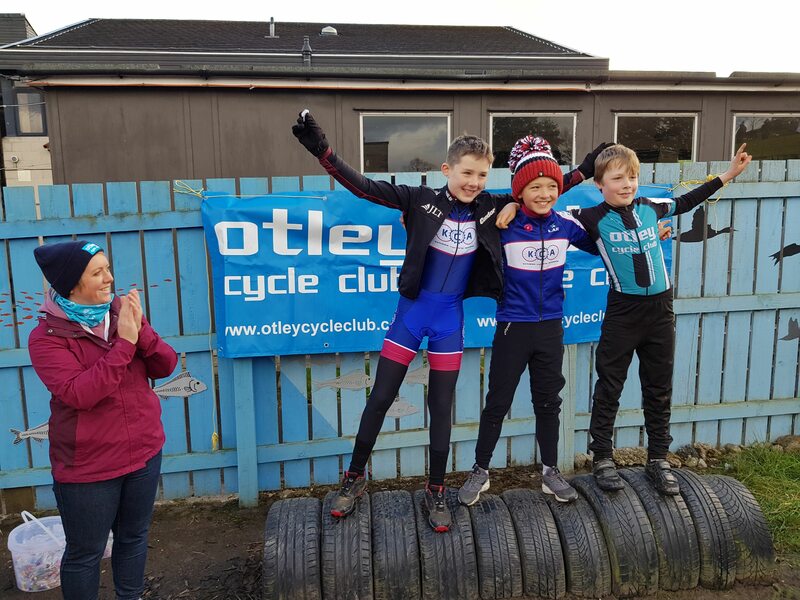 In the U12 race, a fantastic battle took place for the entire race between OCC’s Ruaridh Aylward and KCA’s Mackenzie Riley for 2nd place, with KCA just taking the second step on the final lap, making it a one-two with Seth Jackson taking the win and Ruaridh having to settle for another excellent 3rd place podium spot. 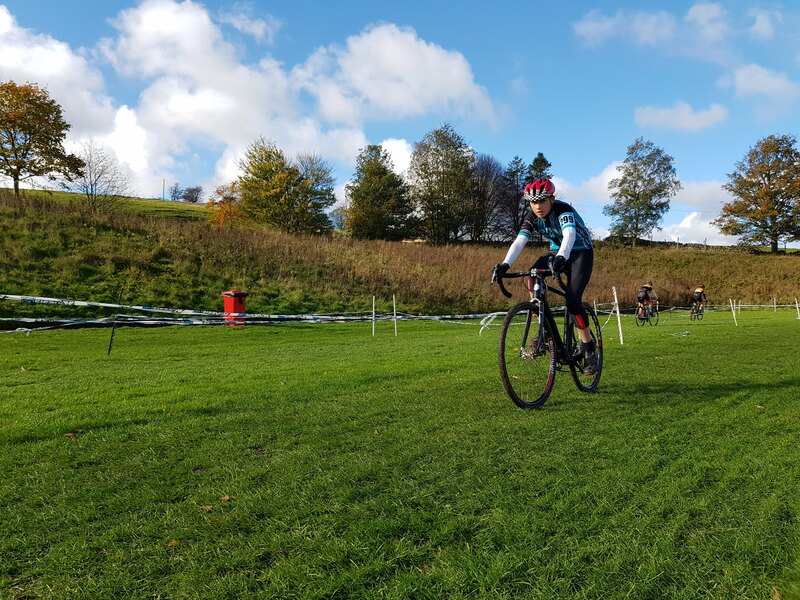 More great racing followed in the Youth race to complete the morning’s junior category races. Heading into the afternoon and the senior race started out in dry, sunny conditions. Three whistles separated the race into three groups on the track, however, a heavy shower mid-way through the race really spiced up the relatively short course and proved a real challenge to the riders, rapidly mixing up the groups – but that’s all part of the fun! 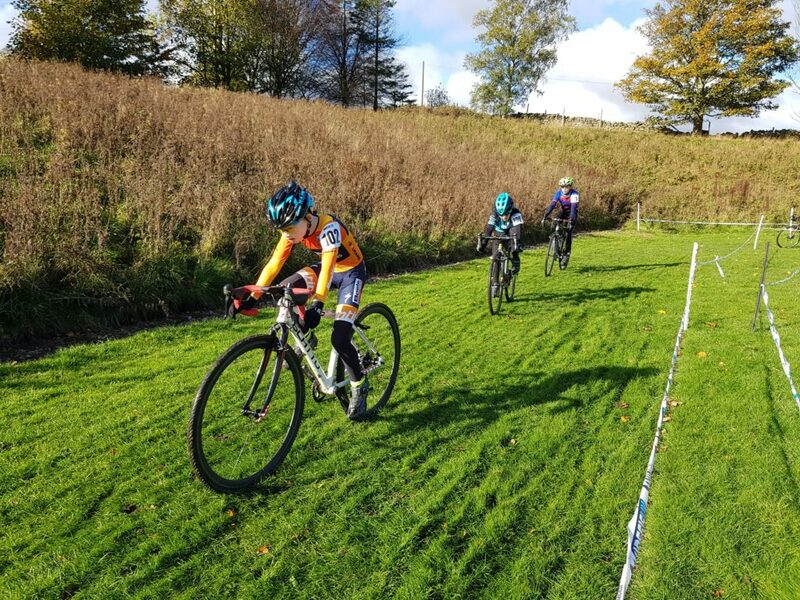 The course builders were pretty sure that they had built a quite challenging section, forcing riders to run up a steep, rough hillside but you should never underestimate CX riders – several of the seniors were riding straight up it by the end of the race, much to the amazement of all! 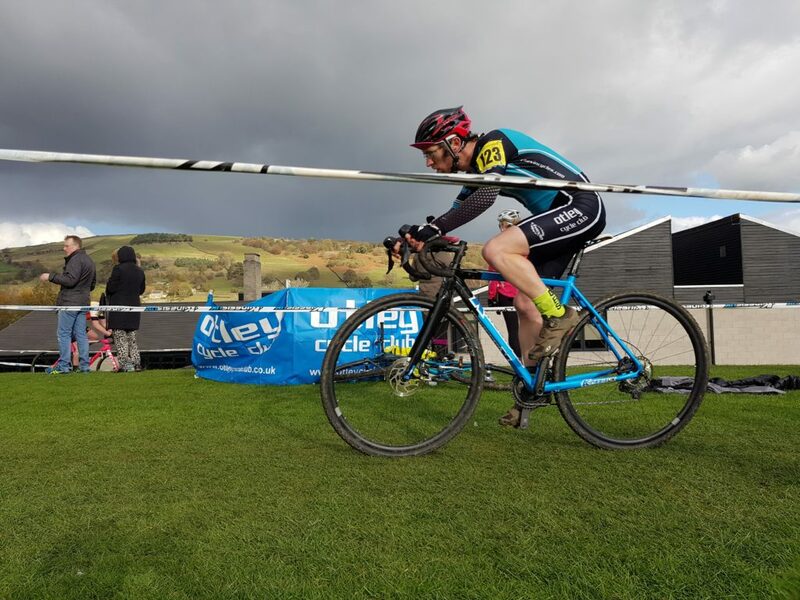 Overall race win was taken by Jack Clarkson riding for Hope Factory Racing. 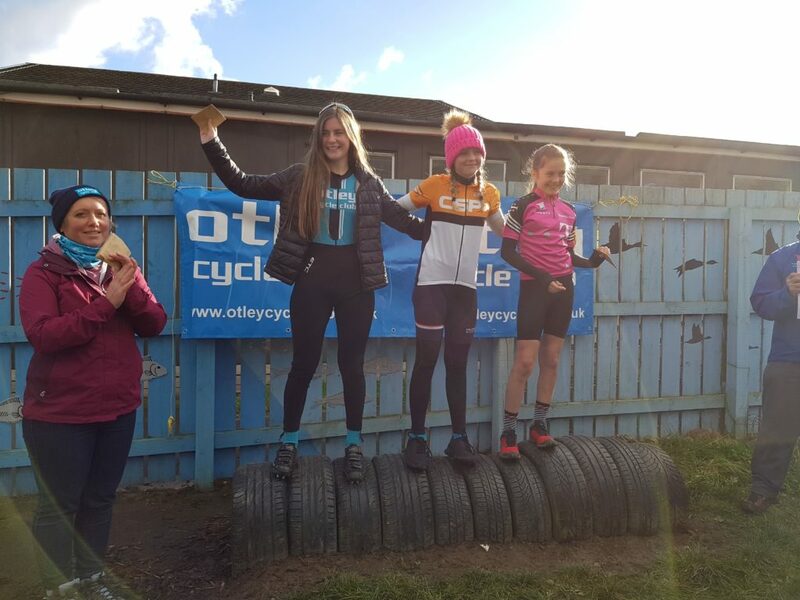 ColdthorpeWell done to all riders competing this weekend! 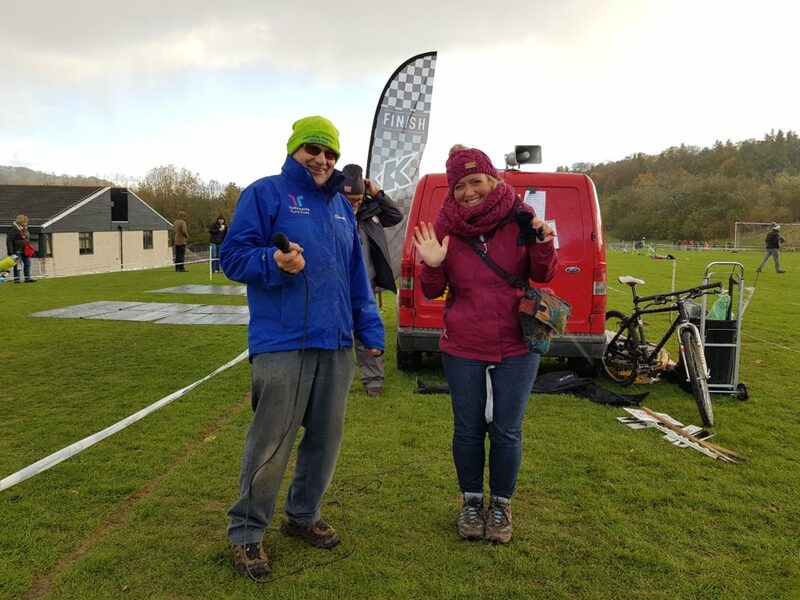 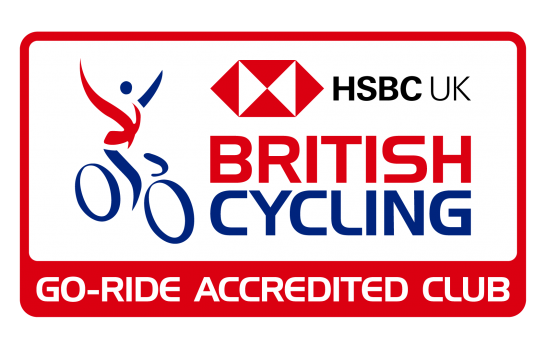 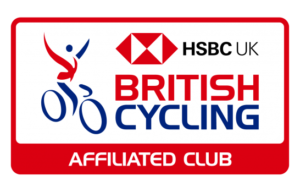 Many thanks to Fred and Carole Rothwell from YCCA, Adam and Ally Pridmore from EBCC, our commissaire and all those from Otley CC who helped at some point over the weekend, or who just came along to cheer the riders – we really appreciate your support!